Today, the challenges regarding data and files for design-based industries are more diverse than they used to be — and they’re evolving rapidly with the development of new storage and computing technologies. How are CAD developers approaching these challenges, and how are their strategies shaping our use of CAD data? 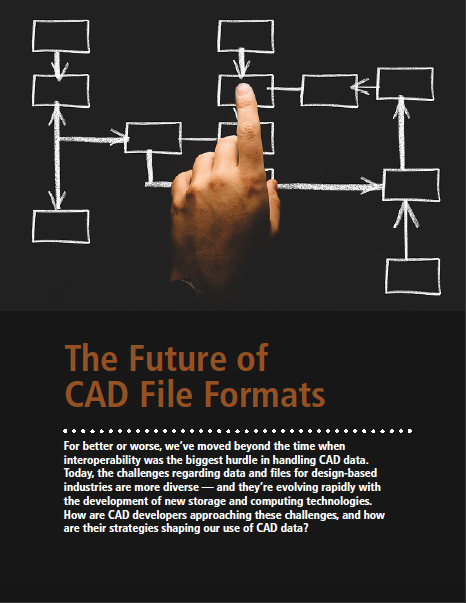 Download your copy of this free white paper today to get a clearer view of the changing file format landscape! Produced by Cadalyst. © 2017, Longitude Media.